Did you know Morty's Cafe isn't a "Cafe" in name only? We have a fabulous espresso menu available with Lattes, Mochas and more! The Wasatch Roasting Company in Ogden, Utah & our Head Chef have teamed up to create a customized Morty’s Cafe blend. The blend consists of Costa Rican, Ethiopian, and Colombian beans. 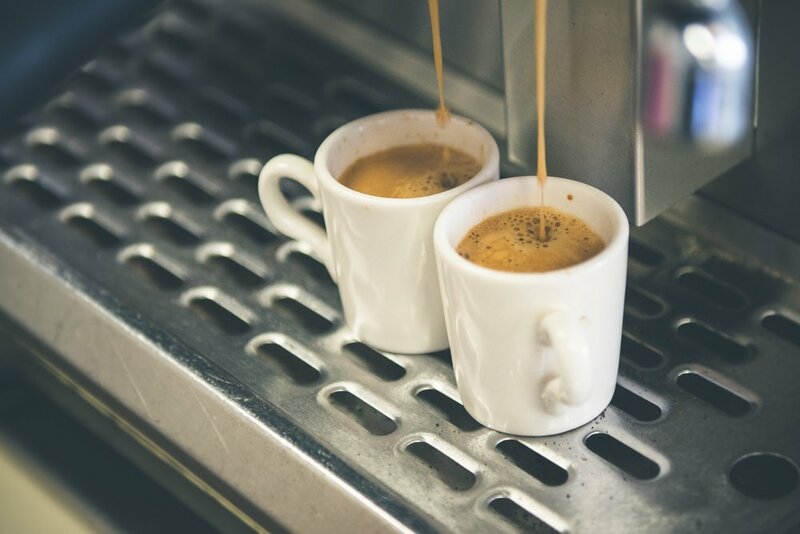 This espresso has a buttery flavor with hints of cinnamon and citrus to create a delicious mixture! We also offer cold brewed, nitro infused coffee on tap, as well as, Ogden's Sunnte's Kombucha. Our selection of almond milk & soy milk are crafted to ensure each drink contains the same structured foam that traditional milk drinks provide. Our drip coffee is a smooth, all-day columbian light in acidity and mild in flavor. In house, we offer- Espresso, Americano, Latte, Mocha, London Fogs, Big Train Oregon Chai and Cappuccinos, as well as, most other requests. Iced or hot drinks are available always. We have vanilla, caramel, homemade marshmallows, & our own chocolate blend for our hot chocolates. We feature a fully compostable cup & lid combination OR you can bring in your own mug!